One year ago it was my first time that I published a Bootleggers Buzz. One year of fun, learning and a truly great experience. Today it is time for a change; I officially resign as Buzz Editor. Why?! Well, I believe if you do not enjoy such a task anymore it is time to pass the job to someone who will definitely enjoy the job. When I accepted the job as Buzz Editor I made an agreement with myself; if I lost the interest of the job I would resign. I had a great year, but I believe the community needs a new Buzz Editor; Dalton. This amazing writer has only been a writer for a short period, however I believe he will do an amazing job. Enough tears now! It is time for some news, because plenty of things happened! This week we witnessed quite many crew wipes and exciting drama. Padrinos Palace got attacked twice this week and they dropped at the second attack. The shooters? Pavilion and kingslayer. The Buzz believes The Family is behind the attacks, but you can read the article for more information. Any other crew got attacked this week? Positive! The Anarchists got wiped by ex-State Don Medea. According to his profile the attacks had nothing to do with Jailbreak Paradise (Medea was part of this crew for a long time). Finally, we also witnessed a new update and a lot drama related to Jailbreak Paradise. What exactly? You can find that out in the article! Any other interesting things? Well, the Elite Guard updated the community about an exploit, which means it is really official now. Fortunately the Elite Guard returned a favour of our patience, because a special Summer Event was organized by the green minions; Summer Madness. 10 days of special events on Bootleggers; isn’t that awesome? It is, just like this issue, because we also have our amazing weekly articles! So, that’s it; my last Editors Note. Enjoy this amazing issue and, as always, enjoy your Sunday. I want to thank everyone who helped me during my time as Buzz Editor. I will still be part of the Buzz Team, so if you have any question about the Bootleggers Buzz you can always contact me. Thanks for everything and I hope I did not let you down. Jailbreak Paradise look to tough measures in order to retain the peace. 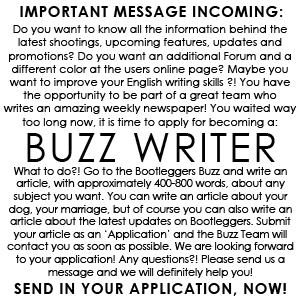 We here at the Buzz look into their proposed actions and the implications they have had. 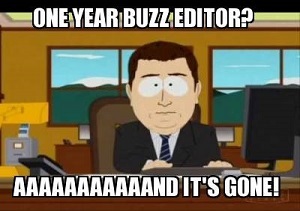 After being the Buzz Editor for approximately one year it is time to pass the job. Today I officially resign as a Buzz Editor. The last weeks we witnessed an increase of the total in-game and the point value. Could it really be a money exploit? The staff is going crazy during the "Summer Madness" days! This week we witnessed quite a few attacks. Padrinos Palace got hit twice and The Anarchists were wiped along side. We at the Buzz got the story! This week we witnessed a small update; crew bosses can see how many bullets each of their members has. Just a small update, but as most updates; it has some consequences. A casino owner being banned? Could it be the beginning of a long wait? Each week we interview two random players of Bootleggers. The victim of this week’s issue: AliHamdiAH and DrDooM. A young man is sentenced to fifteen years in prison. This week the members of Padrinos Palace were attacked by Pavilion. The shooter was not able to wipe them, however a few hours later Kingslayer finished the job. The ex State Don Medea resigned with a blast; he was able to wipe The Anarchists. A true drama at the Game Forum this week. A possible new rule in Jailbreak Paradise; no more guns allowed. Read the article for more information! The Elite Guard has a new event; Summer Madness! Check out the topic at the Game Forum for more information. Oh, and this Buzz of course! Time for the Editor to resign as Buzz Editor. Thank you everyone; it was a great experience! The third edition of Suggestion Central!